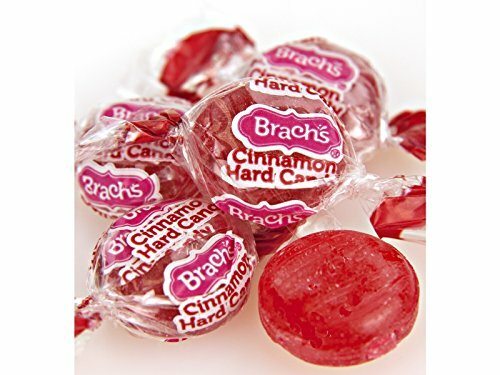 Brach's Cinnamon Hard Candy Disk are made with real cinnamon and come individually wrapped. 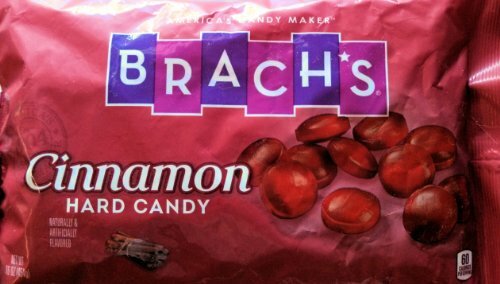 Rich cinnamon flavor the entire time you are eating the candy. 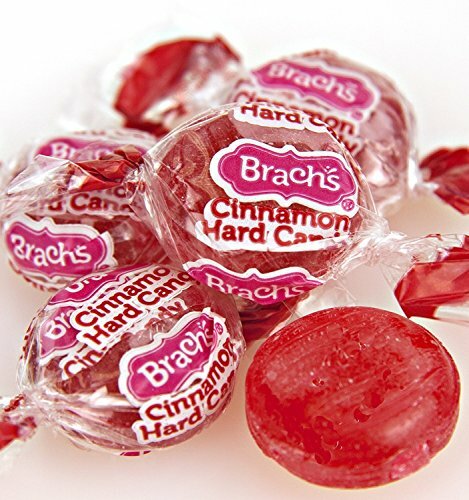 Brach's Cinnamon Discs. 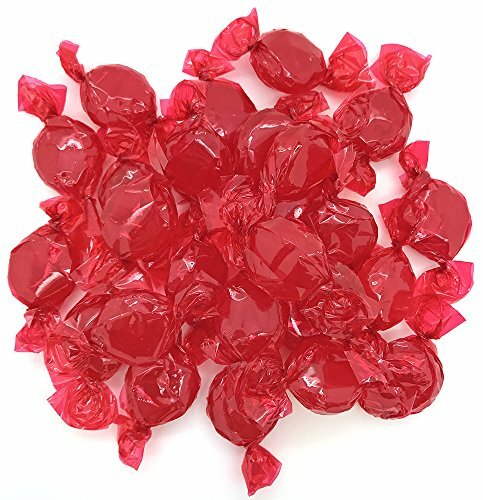 An individually-wrapped cinnamon-flavored hard candy. 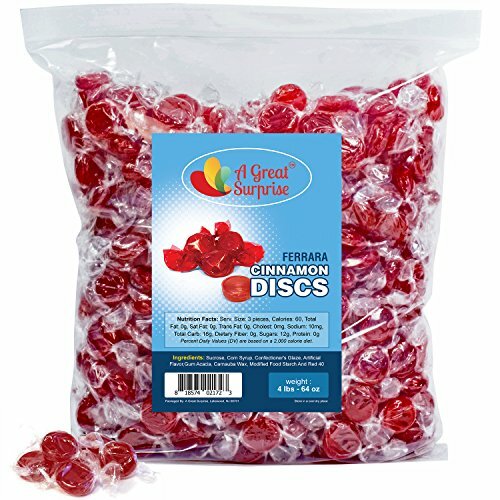 Cinnamon Discs have the long-lasting, spicy cinnamon flavor that candy lovers have come to know and love. Many candy manufacturers produce this candy, but few have been able to surpass the quality of Ferrara Pan! 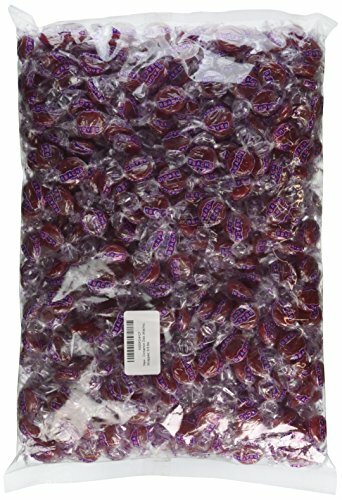 Perfect for filling the office candy dish, decking out a party table, or casually sharing with other cinnamon connoisseurs, the tasty orbs come individually wrapped for maximum yumminess. These nostalgic cinnamon disc hard candies melt away slowly, satisfying taste buds with true, old-fashioned goodness. Soothe a sore throat with a dose of cinnamon spice, add a couple candies to your afternoon cup of tea, or even take them to work to surprise coworkers. Approximately 70 pcs per pound. Includes 4 lbs. Resealable bag for easy storage. Great candy that will be loved by kids of all ages (and adults too). Enjoy these sweet treats with many enticing flavors of the classic candy you crave. Items are repackaged in a facility that may contain milk, soy, peanuts, tree nuts, eggs. 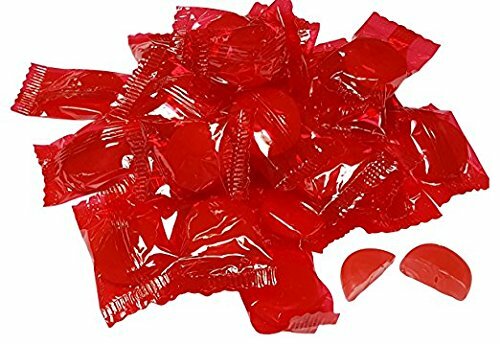 Enjoy the old fashioned taste of cinnamon spice in these hard candies. Each piece and is individually wrapped for convenience. 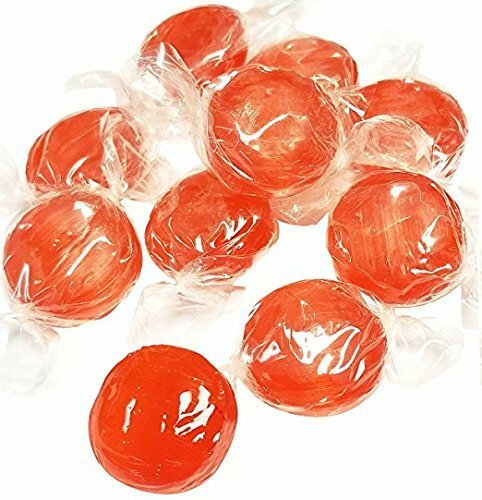 Cinnamon flavored disk shaped hard candy. 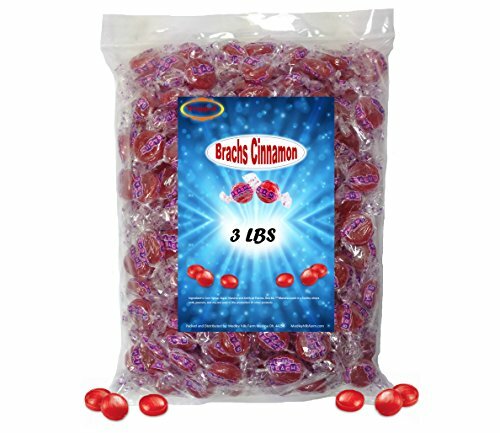 BRACHâ€TMS Cinnamon Hard Candies are made with real cinnamon to give you that rich cinnamon flavor the entire time you are eating this tasty candy. These hard candies get their bold flavor from real cinnamon. So it's no wonder they're so boldly delicious. In 1904, the German immigrant Emil J. Brach set up shop with his two sons in Chicago, the "World's Candy Capital." 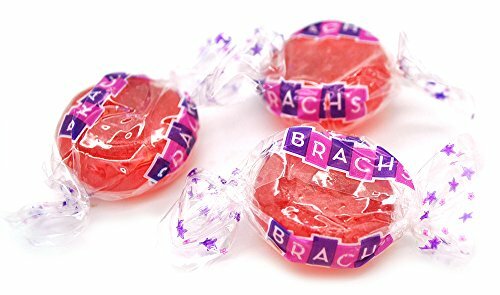 From these humble origins selling handmade caramels out of their "Palace of Sweets," Brach's has grown into a name recognized around the world as one of the premier manufacturers and innovators of premium confections. Celebrate the momentous. Celebrate the obvious. Celebrate the frivolous. No matter what happens in life, there's always a reason to break out the Brach's. So much has changed since the first Ferrara candy rolled off the line and into stores in 1908. But the same creativity and innovation that fed those early years remains at the heart of our company. In fact, it's what has made us the number one non-chocolate candy manufacturer in the U.S. We've got a sweet history - but an even richer opportunity for future growth and success is right at our doorstep. Our mission is to take the brands that have been loved for generations to the next level. In 2012, we brought together brands like Trolli, Brach's, Black Forest, Now & Later and Lemonhead. We're continuously innovating to bring the best-tasting, highest-quality confections to the marketplace. Looking for more Cinnamon Disks similar ideas? Try to explore these searches: Detox Facial Soap, Plastic Bassinet, and Basic Repair Kit. Shopwion.com is the smartest way for comparison shopping: compare prices from most trusted leading online stores for best Cinnamon Disks, 1 Replacement Diaphragm, Crown Congas, Cinnamon Disks . Don't miss this Cinnamon Disks today, April 23, 2019 deals, updated daily.